Ross & Cromarty Roots | Gaelic Old Churchyard, Cromarty. 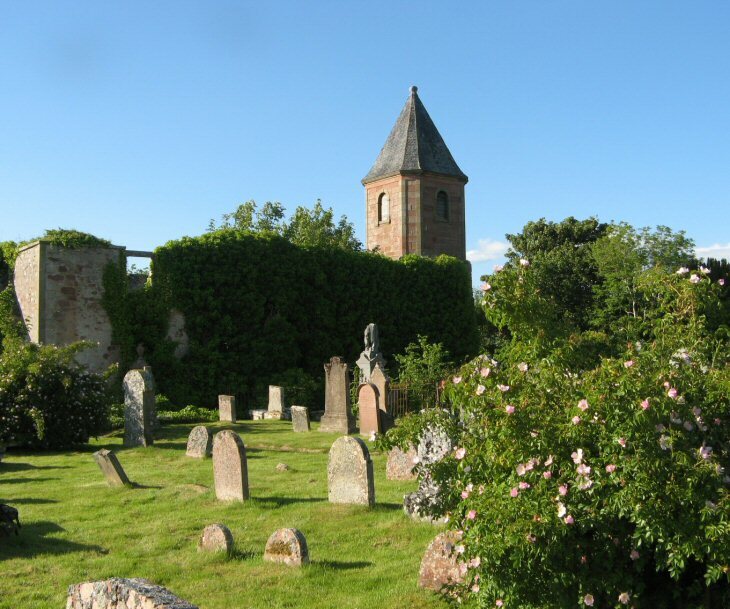 The churchyard is situated above the small town of Cromarty at the end of the Black Isle. It is accessed by turning right into the Paye, at a layby located a short distance within the 30mph limit. The church was built in the 18thC to serve the Gaelic-speaking immigrants, who came to work in the early textile manufactories, which made Cromarty a focus of economic growth prior to the industrial revolution. Three extensions have been built. The one to the east (towards the Hugh Miller Monument) contains many graves of servicemen (Cromarty Gaelic East). More recent extensions are to the west (on this website these referred to as Wester1 and Wester2). Looking for the grave of my great uncle Thomas Bradley Black Watch died 1915, can you help. Added by George Brown on 01 May 2018. Go to image no. 2634, George. Added by Roddie Macpherson on 02 May 2018. Added by George Brown on 02 May 2018.